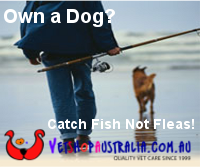 FishMax - THE Australian Online Fishing Magazine: Holy SH*t or Bull Sh*t- Time to buy a bigger boat? Holy SH*t or Bull Sh*t- Time to buy a bigger boat? I Think We're Gonna Need a Bigger Boat! Last week we published this photo sent in by reader Mad Max, who asked us whether it was true or false? In these days of digitally manipulated fishing photos, it's true you just can't trust every photo that lands in your inbox or apepars on your favourite website, but according to our experts, this photo of a very very big fish actually is a real photo! The fish in the photo is a Whale Shark, which really are huge! 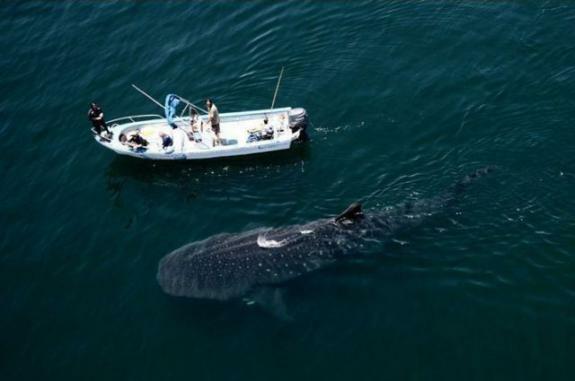 The largest recorded specimen was 12.65 metres (41.50 ft) and so easily dwarf many recreational fishing boats. The Whale Shark, Rhincodon typus, is a slow moving filter feeding shark that is well known for its willingness to let boats and even swimmers come close and sometimes even touch it. Found in tropical and warm oceans, if you want to see a Whale Shark, they migrate every spring to the continental shelf of the central west coast of Australia coming in to feed off the coral spawning of the Ningaloo Reef.